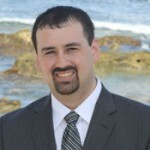 Michael Westendorf is a Certified Developer for DB Services who has over a decade of experience in FileMaker. Michael possesses a unique combination of skills including technical expertise, problem solving, and the ability to design and build solutions in FileMaker Pro. Michael spends his free time golfing, fishing, and hanging out with his family and daughter. Michael is also a regular presenter at the Indiana FileMaker Developer Group.